USE OF THE L'OCCITANE KSA WEBSITE www.sa.loccitane.com AND MOBILE APPLICATIONS (available for Android and IOS) (altogether the “Website”). The Website is operated by Farouk Trading and Contracting Company Limited, trading as L’Occitane, a limited liability company under the Commercial Registration No. 4030119847 issued in Jeddah on 02/03/1417H, whose registered address is at P.O. Box 8079, Jeddah 21451, Kingdom of Saudi Arabia (“L’Occitane”, “us”, “we”, “our”). The Website is provided to you for your personal use subject to these terms and conditions (the “Terms and Conditions”). These Terms and Conditions apply to all products supplied by L'Occitane. You are either at least 18 years of age or are accessing the Website under the supervision of a parent or legal guardian. We grant you a non-transferable and revocable license to use the Website, under the Terms and Conditions described, for the purpose of shopping for personal items sold on the Website. Commercial use or use on behalf of any third party is prohibited, except as explicitly permitted by us in advance. Any breach of these Terms and Conditions shall result in the immediate revocation of the license granted in this paragraph without notice to you. Certain services and related features that may be made available on the Website may require registration or subscription. Should you choose to register or subscribe for any such services or related features, you agree to provide accurate and current information about yourself, and to promptly update such information if there are any changes. Every user of the Website is solely responsible for keeping passwords and other account identifiers safe and secure. The account owner is entirely responsible for all activities that occur under such password or account. Furthermore, you must notify us of any unauthorized use of your password or account. The Website shall not be responsible or liable, directly or indirectly, in any way for any loss or damage of any kind incurred as a result of, or in connection with, your failure to comply with this section. The products are subject to availability. If, for any reason beyond our reasonable control, we are unable to supply a particular item, we will inform you as soon as possible, and refund or recredit you for any sum that has been paid by you or debited from your credit card for the products, unless you wish to accept substitute products of equivalent quality and price. We reserve the right to refuse or cancel an order for any reason, including limitations on quantities available for purchase, inaccuracies, or errors in product or pricing information, or any other problem identified by us. The products are not intended for resale. By confirming your purchase at the end of the checkout process, you agree to accept and pay the full amount payable for the product(s) as indicated during the order process, including any shipping costs or charges incurred with that order. The price of the products and delivery charges are shown in Saudi Arabia Riyal. - cash on delivery in Saudi Riyals currency. All credit/debit card payments are subject to validation by the issuer. If the issuer of your card refuses to authorize payment, we will cancel your order and contact you for an alternative method of payment. The details on your credit/debit card used to make the payment shall exactly match the ID information of the cardholder. Rest assured your card number will be protected using SSL (Secure Socket Layer) certificate. We guarantee a safe shopping experience on our site. The prices include VAT applicable on the day of your order. Any change in the applicable VAT rate will be automatically reflected in the price of products sold by L'Occitane within its Website. 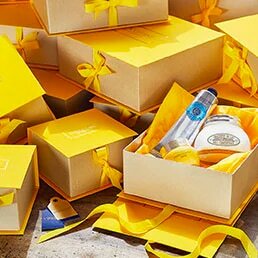 L'Occitane delivers to any addresses in the Saudi Arabia only. If there is no one at the address given who is able and competent to accept delivery of the products, you will have the option to arrange for an alternative delivery date or be given additional information about the collection of the products. - Shipping is free with all orders of 249 SAR or more. - For orders below 249 SAR, the delivery fee is 30 SAR. We aim to delivery your order within 1-5 business days after your order has been successfully confirmed. However, there are remote locations within KSA which will have longer delivery times, which are dependent on our delivery provider. For more information, please contact our Customer Care team. It is L'OCCITANE's intention to satisfy its customers. Please note that we do not provide any refund, however we will gladly offer an exchange for any unopened product bought on the Website that is returned within 30 days of the date of purchase, in any L’Occitane’s stores in the Saudi Arabia only. All items must be accompanied by a copy of the both original receipt and in an unopened and saleable condition. We cannot accept any return by post. Please note that we cannot offer exchanges on any opened or used products. At the time of delivery, you may refuse the entire order only and return it in its entirety. All products are quality controlled and checked for any faults before they are dispatched to you. Should you receive a product that is faulty please contact us immediately. Products are classified as faulty if they are received damaged, or where a concealed manufacturing default appears within one (1) month of the date of purchase. Please note that products that are damaged as a result of wear and tear, neglect, abuse, improper maintenance or other causes attributable to you are not considered to be faulty. - To receive a full refund in respect of the defective product. All refund will be made by the method payment was received. If the initial payment was made by credit/debit card, we will re-credit your credit/debit card within (14) days. All copyrights, trademarks, trade dress, other intellectual property and materials, including page headers, images, text, illustrations, formats, logos, designs, icons, photographs, programs, music clips or downloads, video clips and written and other materials on our Website (collectively, the “IP”) are owned, controlled or licensed by L’Occitane, one of its affiliates or by third parties who have licensed their materials to L’Occitane and are protected by the Saudi Arabia and international trademark and copyright laws. You may access, view, download, and print the IP and all other materials displayed on our Website for your personal, non-commercial use only; provided, however, that you (1) do not modify or alter the IP in any way; and (2) do not provide or make available the IP to any third party in a commercial manner. You will not acquire any copyright, trademark or other proprietary designations whatsoever contained on all IP. No license, right, title, or interest in any materials or software is transferred to you as a result of your use of our Website or your accessing, viewing, downloading, or printing of the IP. You may not reproduce (except as noted above), publish, transmit, distribute, display, modify, create derivative works from, sell or participate in any sale of or exploit in any way, in whole or in part, any of the IP, our Website or any related software. All software used on our Website is the property of L’Occitane or its suppliers and protected by the Saudi Arabia and international copyright laws. The IP and software on our Website may be used only as a shopping resource. Any other use, including the reproduction, modification, distribution, transmission, republication, display, or performance, of the IP on our Website is strictly prohibited. 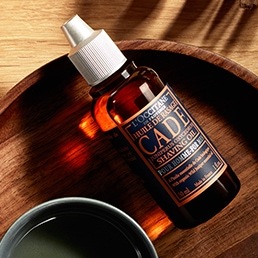 The compilation (meaning the collection, arrangement, and assembly) of all IP on our Website is the exclusive property of L’Occitane and is also protected by the Saudi Arabia and international copyright laws. The trademark and service mark L’OCCITANE, the LOccitane.com domain name and all other graphics, logos, page headers, button icons, scripts, and service names included in or made available through any of our Website are trademarks or trade dress or otherwise the exclusive property of L’Occitane in the Saudi Arabia and other countries. All personal information collected during the registration process. All order details and purchase histories. All delivery information and general contact details. Please be assured that these details are kept to allow us to process your orders and to serve your requests in general. We will take all steps reasonably necessary to protect your personal information against the unauthorized access, use, alteration, disclosure or destruction. We will disclose your personal information as reasonably required for the process of your request/purchase; such as but not limited to , providing your address to a shipping or delivery company or submitting your information to a banking institution to get approval for your transaction; however, please be aware that if we are requested by any regulatory or government authority investigating any suspected activity to provide your personal details and/or user information, we will be entitled to do so. We may also use your personal information to send you details of our products, special offers or promotional offers that may be of interest to you and may also pass your personal information onto our carefully selected business partners or to other carefully selected third parties to enable them to send you information which may be of interest to you. If you do not want to receive such information please contact our Customer Service, they will assist you in this respect. We cannot however guarantee nor accept any liability for any of the information you submits to us. To the extent that IP addresses can be considered as personal information, you agree that your use of the Website may imply the automatic transmission of your IP address to us, through cookies or other comparable technical means. You agree to defend, indemnify, and hold harmless L’Occitane and its affiliates from and against any and all claims, damages, costs, and expenses, including attorneys’ fees, arising from or related to your use of our Website or any breach by you of these Terms and Conditions. OUR WEBSITE IS PROVIDED BY L’OCCITANE ON AN “AS IS” AND “AS AVAILABLE” BASIS. 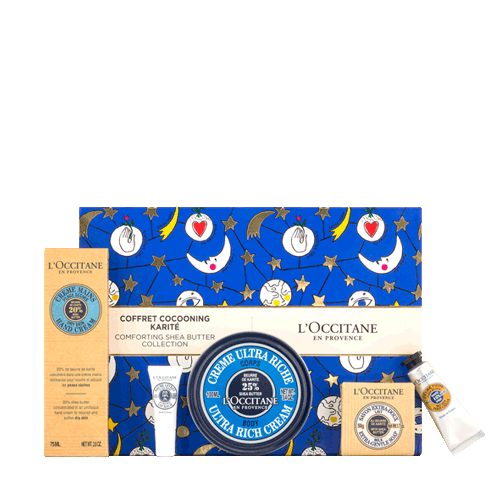 L’OCCITANE MAKES NO REPRESENTATIONS OR WARRANTIES OF ANY KIND, EXPRESS OR IMPLIED, AS TO THE OPERATION OF OUR WEBSITE OR THE INFORMATION, CONTENT, MATERIALS, OR PRODUCTS INCLUDED ON OUR WEBSITE. TO THE FULL EXTENT PERMISSIBLE BY APPLICABLE LAW, L’OCCITANE DISCLAIMS ALL WARRANTIES, EXPRESS OR IMPLIED, INCLUDING, BUT NOT LIMITED TO, IMPLIED WARRANTIES OF MERCHANTABILITY AND FITNESS FOR A PARTICULAR PURPOSE. WITHOUT LIMITING THE FOREGOING, L’OCCITANE DISCLAIMS ANY AND ALL WARRANTIES, EXPRESS OR IMPLIED, FOR ANY MERCHANDISE OFFERED ON OUR WEBSITE. YOU ACKNOWLEDGE, BY YOUR USE OF OUR WEBSITE, THAT YOUR USE OF OUR WEBSITE IS AT YOUR SOLE RISK. THIS DISCLAIMER DOES NOT APPLY TO ANY PRODUCT WARRANTY OFFERED BY THE MANUFACTURER OF THE ITEM. THIS DISCLAIMER CONSTITUTES AN ESSENTIAL PART OF THIS AGREEMENT. Nothing in these Terms and Conditions is intended to affect your rights under the Sadi Arabia law. The use of the Website or any of the services or products is at your own risk, and unless otherwise stated in these Terms and Conditions, you assume full responsibility and risk of loss resulting from your use of the Website or any of the services or products. UNDER NO CIRCUMSTANCES AND UNDER NO LEGAL OR EQUITABLE THEORY, WHETHER IN TORT, CONTRACT, STRICT LIABILITY OR OTHERWISE, SHALL L’OCCITANE OR ANY OF ITS AFFILIATES, EMPLOYEES, DIRECTORS, OFFICERS, AGENTS, VENDORS OR SUPPLIERS BE LIABLE TO YOU OR TO ANY OTHER PERSON FOR ANY INDIRECT, SPECIAL, INCIDENTAL OR CONSEQUENTIAL LOSSES OR DAMAGES OF ANY NATURE ARISING OUT OF OR IN CONNECTION WITH THE USE OF OR INABILITY TO USE OUR WEBSITE, INCLUDING, WITHOUT LIMITATION, DAMAGES FOR LOST PROFITS, LOSS OF GOODWILL, LOSS OF DATA, WORK STOPPAGE, ACCURACY OF RESULTS, OR COMPUTER FAILURE OR MALFUNCTION, EVEN IF AN AUTHORIZED REPRESENTATIVE OF L’OCCITANE HAS BEEN ADVISED OF OR SHOULD HAVE KNOWN OF THE POSSIBILITY OF SUCH DAMAGES. SUBJECT TO THE FOREGOING, IN NO EVENT WILL L’OCCITANE BE LIABLE FOR ANY DAMAGES IN EXCESS OF THE AMOUNT PAID BY YOU TOWARDS THE PRICE OF THE PRODUCT IN RESPECT TO WHICH THE CLAIM AROSE. YOU HEREBY RELEASE US FROM ANY AND ALL OBLIGATIONS, LIABILITES AND CLAIMS IN EXCESS OF THIS LIMITATION. We reserve the right to modify these Terms and Conditions at any time without notice to you. We, through the Website, will not deal or provide any services or products to any of OFAC sanctions countries in compliance with the laws of Saudi Arabia . If any of the provision of these Terms and conditions is held to be illegal or unenforceable, the other terms of these Terms and Conditions shall not be affected and shall remain in full force and effect. These Terms and Conditions are reproduced in several languages. If there is any inconsistency between the English text and a non-English text, the English text will apply unless applicable local law requires otherwise. These Terms and Conditions are governed by the laws of Saudi Arabia. If you have any questions about the Terms and Conditions or any aspect of your order, please contact our Customer Service by email at Loccitane-ksa@mailmac.net or by telephone on +966 (0)122296222 from 09:00 am to 4:30 pm (Saturday to Thursday) excluding public holidays.